As human beings, we all feel an innate closeness to our natural surroundings, and at Blossoms we believe that everyone can benefit from spending time engaging in nature. We hope to reach and inspire as many people as possible – from interested individuals of all ages to healthcare organisations, workplaces, community groups, and mental health organisations. The mother-daughter team behind Blossoms – Horticultural Therapist, Liz Curtis & Horticulturalist, Maureen Hanvey. 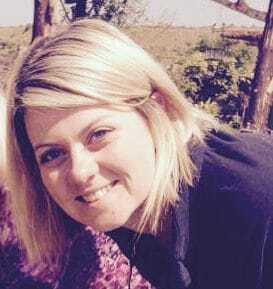 Shortly after studying Sociology at Queens University Belfast, Liz obtained her Professional Development Diploma in Social and Therapeutic Horticulture from Coventry University. Liz was the first person in Northern Ireland to gain this qualification. Liz is passionate about using Horticultural Therapy to target work place stress, and help balance the growing over-engagement in technology. Her passion is in finding practical and enjoyable ways for everyone to engage in nature based therapy, on a daily basis. Maureen has dedicated her entire working life to horticulture, gaining over 30 years’ hands on growing experience. After working in commercial growing, she now focuses her energy and experience on therapeutic programmes, sessions and workshops in the therapy garden. She brings with her a wealth of wisdom and knowledge that is truly unrivalled. 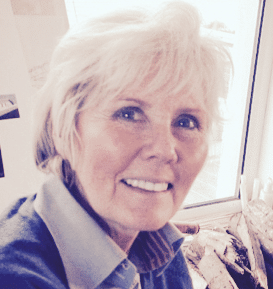 Maureen’s expertise is in teaching a wide range of practical horticultural growing skills. Her passion is studying the scientific evidence of how our brains are effected by nature. Blossoms at Larne Lough specialises in using Horticultural Therapy to increase health & wellbeing and decrease stress. Please note some photos are stock images. We are working on getting our own taken.